Atlas Professionals is delighted to announce the expansion of its global footprint into Abu Dhabi, United Arab Emirates (UAE). Having operated in the UAE for over 10 years from the current office in Dubai, this move will now expand Atlas’ worldwide network with two offices in the Middle East in order to increase the coverage of existing services. This move also comes with the announcement of a partnership with Emirates Specialized Contracting and Oilfield Services (ESCO), a subsidiary of HMZ Holdings L.L.C. - established by His Royal Highness Shaikh Hamdan Bin Mohammed Bin Zayed Bin Sultan Al Nehayan. This partnership providing operational synergies through the focus of Atlas Professionals upon delivering the highest quality professionals to niches within Oil & Gas, Marine and Renewables, and ESCO's experience and capability of logistical and operational support to key projects within Abu Dhabi and the UAE. Matt Riding, Commercial Director at Atlas Professionals, says: "The move for Atlas to expand further into UAE with a key focus in Abu Dhabi, coupled with a strong partnership formed with ESCO, is something that we are extremely excited about. 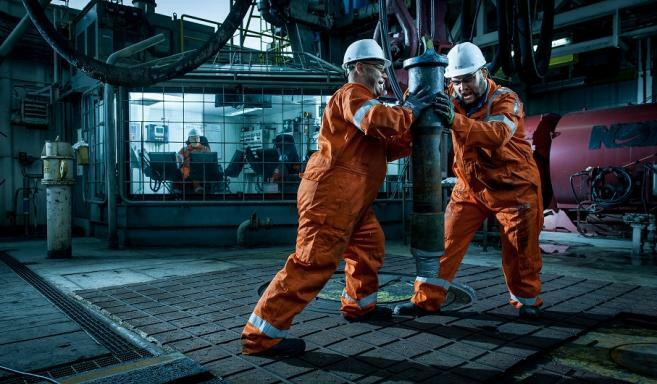 Through our key strength and focus upon niche skillsets and capability within Oil & Gas, Marine and Renewables, we aim to provide a greater depth of service to our customers in this region. This partnership allows a fully comprehensive manning service in a region where safety, compliance and operational risk mitigation is key to both operators and contractors." 23 January, 2017: The new way of working starts now!